George Henry Perks was born in 1891, the son of Robert Walton and Elizabeth Perks. In 1901, they were living at 4 Crescent Row, together with George’s brothers Robert Walton and Frank Richard, and sisters Elsie Jennie and Florence Annie. George married Alice M. Price in 1914. They had a daughter, Elizabeth, later that year. George enlisted in the 1st Battalion of the South Staffordshire Regiment (number 8894). 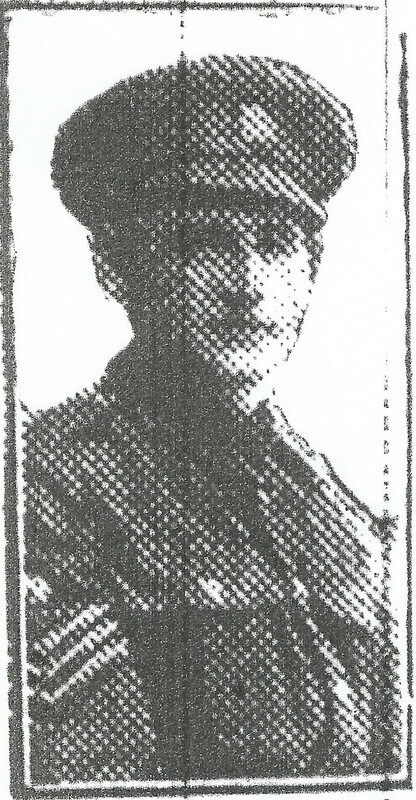 On 25 September 1915, he was reported as missing, and a piece appealing for information about him appeared in the Express & Star on 4 February 1916. Unfortunately, it later transpired that this was the date of his death. By the time of his death, his parents were living at 8 Warwick Street, and his wife was living at 7 Shakespeare Street, Horsley Field. He is commemorated at the Loos Memorial, and also appears on the Monmoor & Victoria Works Memorial (presumably his place of employment prior to the war. Frederick Charles Mander was born in 1878. By 1901, he had become an underhand brass caster and was living at 21 Compton Street. His household consisted of his brothers Joseph and Albert, his sisters Clara, Edith Ellen and Florence Maria, and his uncle Frederick Charles Beck. In 1908 he married Emily Hammond, and they went on to have at least two children, Gladys and Freda, between 1911 and 1921. In 1881, he joined the South Staffordshire Regiment, and was sent to Tralee the following year to join the 2nd Battalion. By 1883 he was with the 1st Battalion at Malta, before proceeding to Egypt and the Gordon Relief Expedition. Finally the battalion was sent to Gibraltar, when Mander was taken ill with enteric fever and sent home. He was first posted back to the 2nd Battalion, and later the 4th Battalion. He eventually became Company Sergeant-Major, and a newspaper cutting about himself and three other officers of the South Staffordshire Regiment appears in a Scrapbook of First World War material. 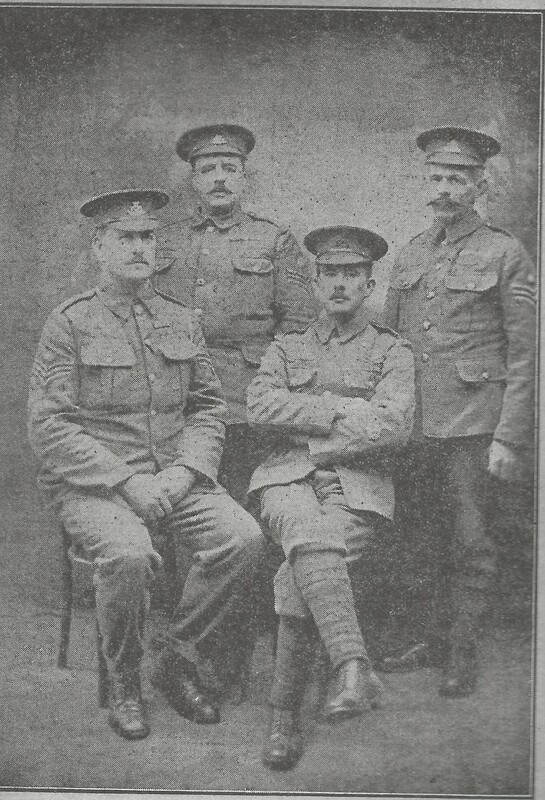 In the above photograph he appears seated on the left, along with Company-Quartermaster-Sergeant W. Bailey, Sergeant-Major W. J. Davis and Company Sergeant-Major W. P. Jones. Frederick Mander died at the age of 50 in 1928. He is buried in Merridale Cemetery. We have featured earlier Council Communications Books in previous blog posts – 1914 – 1915 and 1915 – 1917. This is a collection of entries from the final one covering the First World War period. Because of shortages of materials, the Local Government Board on 29 June 1917 drew attention to timber supplies, urging road works to be limited just to repairs. The circular also suggested the use of alternative materials such as asphalt. Food was also at a premium, and local Food Control Committees were being set up. There were attempts to increase the number of allotments, in order to supply people with a daily ration of 1/2 lb of vegetables each. Similarly there was a drive to collect waste paper, scrap metal and other inorganic waste that could be reused in the future. The reduction of the availability of coal meant that the use of peat was being encouraged. In an attempt to encourage the Government to provide compensation for damage by aircraft and bombardment, a circular from the Committee on War Damage dated 30 June 1917 asked for more information on any damages or deaths in the area, and associated costs. On 21 November 1917 there appeared a letter from MP Andrew Bonar Law, reminding everyone to continue to buy National War Bonds with their savings, rather than deposit money in banks, in order to help financing the war effort. There were various employment issues dealt with during this period. There was a circular on 11 February 1918 from the Amalgamated Society of Gas, Municipal and Council Workers. Since October 1917 there had been a 12 1/2% bonus payments to skilled workers of 21 years plus working on munitions work in engineering shops, foundries or boiler works. This was now extended to electricity workers, Sheffield iron and steel works, bolt and nut manufacturers, brass founders, brass workers, bridge builders, constructional engineers, hollowware manufacturers, spring manufacturers, stampers and wagon builders. This bonus would terminate at the end of the war. A letter from the female clerks at the Town Hall dated 4 February 1918 requested equality with male clerks, who had already received an extra War bonus. Benjamin Shaw was born in Wolverhampton in 1890, the son of Benjamin and Mary Shaw. In 1901, the family were at 97 Alma Street, together with Benjamin’s brothers Arthur H. H., John, Percy and William, and sister Florence. He married Margaret Thomas in 1911, and the couple went on to have two children, Dorothy and Edward, in 1913 and 1914. Benjamin enlisted in the 7th Battalion of the South Staffordshire Regiment (number 9801). He fought at the Dardanelles, and was reported wounded and missing on 9 August 1915. A notice asking for information appeared in the Express & Star on 3 February 1916, when his wife’s address was given as No 3 Garden Row, Zoar Street. Unfortunately, it appears that he died on this date, at the age of 24. He is commemorated at the Helles Memorial in Turkey. He may also appear on the St Paul’s Church War Memorial. Alfred Edward Ireland was born on 1 January 1887, the son of Charles Richard and Sarah Ann Ireland. In 1901, the family were at 1c Brunswick Street, together with Alfred’s brother Albert Andrew and John Thomas, and his sisters Ada Florence, Elsie Maude and Gerty May. At the age of 14, he was a cycle trade turner. In 1909 he married Elsie Gertrude Meredith, and they had at least one child, Alfred, born in 1912. He got a job as a charge hand at the Sunbeam Works. As early as 10 August 1914, he enlisted in one of the Mechanical Transport Companies of the Army Service Corps (number CMT/2199). This meant that he was able to use his technical skills at the front, and by 1918 was in charge of a repair shop employing 80 artificers. He became one of the youngest soldiers to receive the meritorious medal for distinguished conduct in the field, and was also awarded the Military Medal. By this date his family were living in Raby Street, and the story of his distinguished achievements was featured in the Express & Star. The couple had a further child, Audrey, in 1928. Alfred died in 1971 at the age of 84. Samuel Haddock was born in 1887 in Wolverhampton, the son of William and Charlotte Haddock. In 1901 they were at 178 Bilston Road, together with Samuel’s brothers Joseph and William, and sister Charlotte. Samuel’s father, William, died in 1903, and his mother, Charlotte, died in 1907. By 1911, Samuel was employed as a printer at an Ink Works. In 1915 he married Lily May Adey, and they moved to 30 Laburnam Street. They had one child, Vera, in 1917. Samuel enlisted in the 2nd/6th Battalion of the South Staffordshire Regiment (number 203819). He died on 15 February 1918 and is commemorated at the Mory Abbey Military Cemetery, Mory, France. He also appears on the Mander Brothers Memorial. Noah Gallear was born in Wolverhampton in 1890, the son of James and Alice Gallear. In 1901 they were at 4 Deanery Row, together with Noah’s brother’s Charles Henry, Harry, and John William, and sisters Ann Maria and Mary Ellen. Noah enlisted in the 10th Battalion of the East Yorkshire Regiment (number 19007). He died on 13 November 1916, and is commemorated at the Thiepval Memorial. Arthur Baker was born in about 1890 in Wolverhampton, the son of Edwin and Sarah Ann Baker. In 1901 they were at 2 Shakespeare Passage, together with Arthur’s brothers, Edwin and George, and sisters Athalia and Sarah A. Arthur attended St Joseph’s Roman Catholic School in East Street. Edwin Baker died later that year at the age of 44. Arthur enlisted in the 1st Battalion of the Royal Dublin Fusiliers (number 10541). During his service, he took part in the historic landing in the Dardanelles. However, on 5 May 1915, he was seriously wounded, and he later died from these wounds. 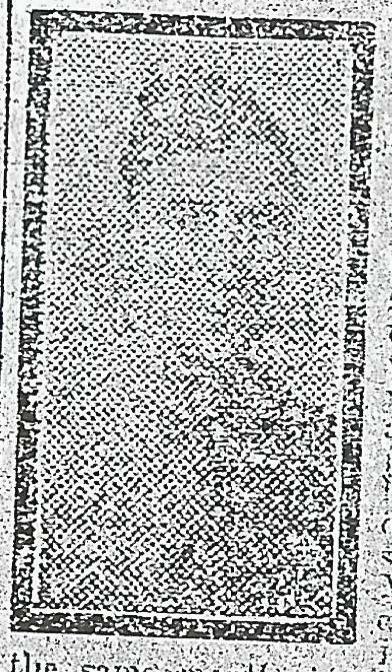 The account in the Midland Counties Express of 25 November 1916 has his date of death as 10 May 1915, but the Commonwealth War Graves Commission states it was 7 June 1915. He is remembered at the Port Said War Memorial Cemetery in Egypt. Sir – We (the undersigned) would deem it a favour if you will enrol our names as members of your Non-Manual Corps. Had your advertisement not appeared in Saturday evening’s edition of your paper we were writing to you to suggest the raising of a corps of a similar class. We hope the corps will reach at least the full total of 1,000 men, and think that this could be easily done. If, as it is suggested, Lieutenant-Colonel Waterhouse takes this matter up, he may rely upon two who will do their utmost to assist him in anything that will help forward this much-needed movement. We are, dear Sir, yours to command. These two young men were Harold Groom (born 1895) and Geoffrey Edward G. (born 1893). In 1901 they were living at 25 Waterloo Road North, together with their parents Edward and Margaret, their brothers John and Clement, sister Marjorie, and servants Ethel Lathe and Winifred Smith. I have not been able to find records of Harold’s military service, but Geoffrey in fact joined the Royal Navy. Geoffrey married Margaret E. Lee in 1917, although they do not appear to have had any children. I have not been able to find any further trace of either man. George Henry Venables was born in 1884 in Wolverhampton, the son of James and Sarah Ann Venables. In 1901 he was living with his parents and sister Florrie in Park Brewery Street. He married Clara Wesley in 1904, and they went on to have seven children – George Henry, Vivian Wilfred, Gladys Florence, Jessie May, Archie James, Constance Mary and Mabel J. – between 1904 and 1917. By 1911, he was living at 116 Aldersley Road, Tettenhall, together with his wife Clara, son Vivian Wilfred, and daughters Gladys Florence and Jessie May. His occupation was a bricklayer. George enlisted in the army on 9 November 1915, by which date his address was 9 November 1915. He joined the 18th Battalion of the Military Police and was later transferred to the Military Mounted Police. He was demobilised on 7 July 1920 when he suffered a broken ankle, and was awarded a weekly sum of 8/- for himself and 10/8d for his wife and children until further notice.